Webucator Blog - Webucator blogs about online learning and training. You can learn more about the individual courses on our Microsoft 365 page. Webucator has been offering a scholarship for Computer Science students who show potential for leadership in the field of Computer Science since 2015. We receive numerous applications every year and it is always hard to choose just one winner. But we have to. The winner for the 2019-2020 academic year is Abou Diomande. Congratulations Abou! You are the 2019-2020 recipient of Webucator’s Computer Science Scholarship! We are happy to award you $1,000 to be used to help pay for your education. Webucator is offering new Microsoft official courses for preparing for the Microsoft Azure DevOps Solutions certification exam. These seven 1-day courses prepare students for specific DevOps skills. Does your Website Meet Accessibility Standards? Other types of disabilities which impede content consumption. The World Wide Web consortium (W3C) defines accessibility as the practice of insuring that people with disabilities can perceive, understand, navigate, and interact with websites and tools, and that they can contribute equally without barriers. In spite of the emphasis given to accessibility issues in every web standard, actual implementation of accessibility best practices is still sub-par in many websites and web applications. In this blog post, I’ll discuss some of these best practices, explore the current state of accessibility tools, and give you a few pointers on things that you can do today to improve the accessibility of your website or applications. These courses help students prepare for Microsoft 365 Certified: Security Administrator Associate exam (MS-500). If you’ve ever worked on a large website as part of a team, or even if you’ve ever worked on a small website with a long history, you know that one of the first things that can get out of control and cause maintenance nightmares is the site’s CSS. After a while of people making one-time changes and additions, it often seems like every additional change breaks something else. For this reason, various people have come up with strategies and best practices for keeping CSS under control. In this article, I’ll discuss a few of these best practices and then show how using a CSS framework such as Bootstrap 4 can make doing the right thing almost effortless. Have you been hearing that Power BI is the best and easiest way to analyze and visualize your company’s data? 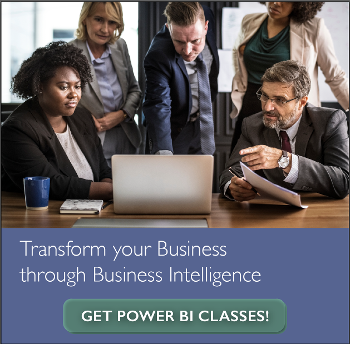 Are you interested in learning how Power BI can benefit your organization? Keep reading to find out how to start using Power BI. Microservices refers broadly to a type of software development in which applications are broken down into smaller development projects so that they can be more easily and independently developed and maintained. Microservices also enables development to be independent of a single programming language and allows the services to be scalable. Introduction to Articulate Storyline Training. Articulate Storyline is eLearning software that lets you create engaging and 508-compliant eLearning projects. This course is for experienced IT pros who manage on-premises and Cloud Office 365 services. This course focuses on administration, configuration, and operation of Office 365 services in hybrid environments. It will also cover Office 365 management of identities, authentication, and supporting technologies.